The bookmakers expect the two captains to lead from the front. Alastair Cook and Michael Clarke are favourites to be the leading run scorers for their respective sides and that looks a reasonable bet based on the statistics. Alastair Cook plundered 766 runs in the 2010-11 Ashes series and is 10/3 (Sportingbet) to be England’s leading run scorer again. 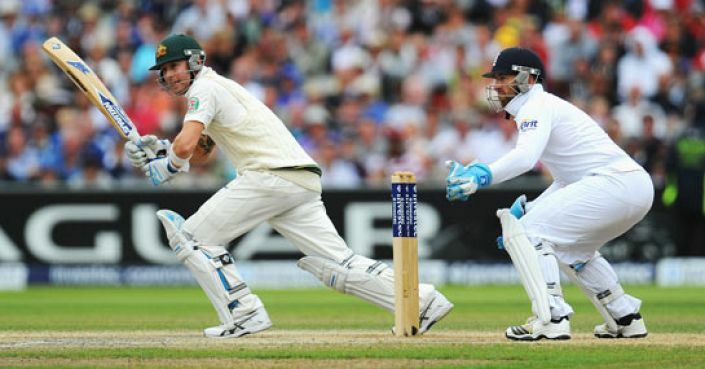 However, Kevin Pietersen and Jonathan Trott should have a say in the matter, both averaging close to 80 runs per match. Despite his troublesome back, Michael Clarke is the key man for Australia. His batting record is head and shoulders above that of his teammates and his record on home turf is exceptional. Clarke averages over 88 runs per match in Australia and is 5/2 (Betfred) to top the charts for his team. Shane Watson was Australia’s leading run-scorer during the English summer and is 9/2 (Bet365) to repeat the feat.